Obtaining and working with a sponsor are two of the most important parts of opening and operating a successful charter school. Although the relationship between a school and its sponsor will vary from school to school, by law the sponsor is required to “monitor and evaluate the fiscal and student performance of the school.” (Minn. Stats 124D.10, subd 15) Central to the charter school idea is that there will be a contract between a group of people who want to operate a school, and a sponsor. In Minnesota, the initial contract is for up to three years. If the school is to continue operating, the contract must be renewed. The contract between school and sponsor sets out the expectations that those operating the school are expected to meet. This agreement contains absolutely central information about key aspects of the charter school’s operation. Ideally, it should also describe in clear, specific, understandable ways, what a school must do to have its contract renewed. Thus, developing and monitoring the contract are vital for the school’s continued operation. For more information on developing a contract, see section the appropriate section of this handbook. What types of organizations may sponsor Minnesota charter schools? The Commissioner of Education, if a local school board denied a charter proposal. A Center for School Change study in 2003 found that more that 40 different organizations in Minnesota sponsor charter schools. This includes a number of local school districts, some intermediate school districts, colleges and universities such as Augsburg, Bethel, St. Thomas, Rochester Community and Technical College and charitable organizations such as the Volunteers of America, Minneapolis YMCA, Audubon Society, and Friends of Ascension. Does the charter school have to pay the sponsor? Monitoring the financial and academic performance of a charter school takes talent and time. The Minnesota charter law permits sponsors, in the first three years of a school’s operation, to charge up to $10,000 per year, or $30 per pupil, whichever is less, to sponsor a school. After the first three years, the sponsor may charge up to $10 per pupil, or $3,500, whichever is less. Some sponsors do charge, and others do not. This is one thing that you will want to discuss with potential sponsors as you consider whether to apply to them. Some sponsors are willing to provide additional services to schools they sponsor, sometimes at no cost, sometimes for an additional fee. For example, a university may offer to provide tutors to students, from those preparing to be teachers. Or an agency may offer to help do a brochure about the school, or to help publicize the school. Some sponsors arrange accounting and other business services for the schools they sponsor. As you research and talk with potential sponsors, you should ask about what services the organization offers to schools, and what the organization charges. Understanding these issues will help you determine whether to apply to the organization for sponsorship. First, it is important to be clear about the central principles and guiding educational philosophy of your school. Thus, it is important to have worked on the school’s mission, vision and educational plan (discussed earlier in this document) before approaching a sponsor. A university might see sponsoring a charter as an opportunity to help train the next generation of teachers and administrators. An environmental organization might view sponsoring a charter focusing on nature and the environment as part of its mission to help broaden awareness and understanding of these issues. A school district might sponsor a charter to help respond to unmet needs in the community. A cooperative might see sponsoring a charter organized under Minnesota’s cooperative legislation as a way to help promote greater use of this way to govern schools. An organization might want to sponsor schools that are using a particular curriculum, such as Core Knowledge, or a particular learning strategy, such as project based learning. That is because the organization believes this curriculum or strategy works well for many students. Third, think about contacts you may have in your community. Do you know people who work at, or direct social service agencies? Do you know school board members, or faculty at higher education institutions? These are people who can help you meet informally with a potential sponsor, to see if it is worth submitting a formal proposal. Fourth, talk with staff at the Center for School Change and other charter school support organizations about organizations that might be interested in sponsoring your school. CSC staff talks regularly with people representing a variety of sponsors. We have some idea of what different sponsors are seeking as they consider applications to sponsor schools. 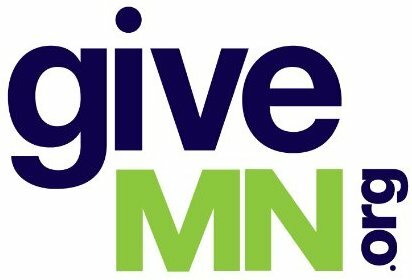 Some Minnesota organizations have published information about the kind of charter schools they are willing to consider sponsoring. Fifth, set up a meeting with one or more potential sponsors to discuss your ideas. We urge potential charter developers to do this at least 18 months before you hope to open the school. Finally, develop and submit a proposal to a sponsor. Center for School Change staff are willing to review proposals, and offer free advice to people about ways to strengthen their proposals. Some organizations charge potential applicants thousands of dollars for development and refinement of a proposal. While some organizations charge applicants to write proposals and help find sponsors, we discourage this practice. The CSC believes that that organizing and writing a proposal helps people develop and refine the skills needed to plan and carry out a school. Relying on others to do this kind of work may help early in the process. But if the applicant is successful, there is a need to operate the school. And although it is complex, writing a proposal is far less difficult than operating an effective school. The sponsor may approve your proposal, ask for modifications, or notify you that it is not willing to sponsor the school. Some of Minnesota’s most successful charter schools had to modify their original proposal to sponsors. So please do not be discouraged if this happens to you. What happens after a sponsor approves our application? If the organization has not sponsored other charter schools, the sponsor must apply to the Commissioner of Education for permission to sponsor a school. If the organization sponsors charter schools, the sponsor submits your application to the state (you may want to work closely with the sponsor to make sure this is done in a timely manner). The state department will review your application, and notify you whether the application has been approved. What should you expect from the sponsor after your proposal is approved by the Minnesota Department of Education? First, if this happens, congratulations! You have taken a major, important step. Next, we strongly encourage successful applicants to meet with their sponsors to develop a work-plan between the time your proposal is approved, and the time your school opens. There are many things that need to be done successfully in this period. Having a carefully developed work plan, with activities, timetable and people responsible, is almost always vital to a successful opening of a charter school. Among the things to be done during this period are for the board and the sponsor to negotiate and sign their contract. This must be done within 90 days of MDE’s approval of your proposal. Some sponsors agree to sponsor a school on a tentative basis, and then develop a contract before the school starts which includes certain benchmarks the school must meet in order to open. This might include items such as obtaining a building, attracting at least a certain number of students by a certain date, hiring faculty by a certain date, etc. You should be absolutely certain that you are clear about what the sponsor expects from you, in terms of both academic and financial reports. Early in the charter school movement, charter school boards and charter school faculty were not certain until the second or even third year, what criteria the sponsor would use to determine whether to renew the contract. This situation is improving, but it is vital that mutual expectations be understood before the school opens. By law, a charter school is required to report at least annually to its sponsor. (Minn. Stats 124D.10, subd 14). Individual sponsors may ask for more frequent reports. The best sponsors meet periodically each year with both the charter school board, and the charter school director. You can expect the sponsor to sometimes visit your school, as well as to give you feedback about your reports. Recognize that the sponsor represents the public interest. Sponsors want to see high quality education. Their responsibility is to make sure that public funds are being spent appropriately. Can your school change sponsorship? A sponsor deciding it no longer wishes to sponsor any charter schools. A sponsor deciding it no longer wishes to sponsor a particular charter school. A school deciding that because of various issues with a sponsor, such as a change in personnel at the sponsor, or a change in the sponsor’s philosophy, the school would prefer to have a different sponsor. This is a major decision, and certainly one that requires a charter school board to weigh many factors. However, as personnel at a sponsor changed, or the philosophy at a sponsor changed, or as new groups agreed to be sponsors, a number of Minnesota schools have changed their sponsorship. The best time to do this probably is when there is a year or so left in your agreement with a sponsor, so that there is ample time to apply to the new sponsor. What do you need to do to get your contract renewed? The best contracts between charter school boards and their sponsors are quite specific about this. Usually these agreements specify both the manner in which funds are handled, the academic goals that the school is expected to reach, and the ways that academic progress is being measured. The Center for School Change has published a free report, What Should We Do: A Guide to Assessment and Accountability, that includes a sample charter contract from Chicago, as well as examples of specific academic goals, and ways of measuring progress. See the resource section below for information about this report. The charter board should gather evidence (preferably in cooperation with someone very knowledgeable about evaluation), and prepare to submit it to the sponsor, or to a proposed new sponsor. The most effective charters gather information regularly, so there are no surprises toward the end of the second or third year about how much progress students are making. Moreover, the strongest charters use evaluation not only to satisfy the sponsor, but to help the school itself refine and improve its program. Late in the school’s second year, the charter board should determine whether it wants to apply for renewal of its contract with the current sponsor, or seek a different sponsor. From the first day of the school’s opening, faculty – often working with an evaluation consultant, should be gathering information about student skills and knowledge. National Association of Charter School Authorizers.